Riding at night can be a completely different experience than riding during the day. 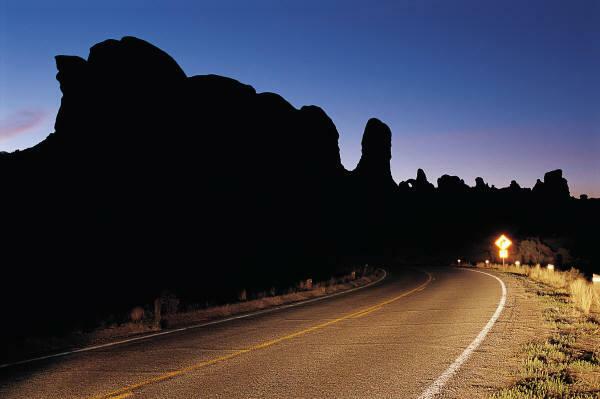 Your visibility to other drivers is low during the day, and it’s even lower at night unless you take steps to be seen. As Charleston motorcycle accident lawyers who also ride, we’ve experienced the challenges of night riding firsthand and have some ideas to help you ride more safely. Make an honest assessment of your bike. Begin making your bike night worthy by determining how visible it is to others. Ask a friend to go out with you one night, with him or her driving a car while you ride your bike. Take your time, and ride next to, in front of, and behind the car. Your friend will have plenty of ideas for you to increase your visibility. Clean your headlights for the most visibility for you and other riders and drivers. If you’ll be doing quite a bit of night riding, or if your bike is older, perhaps you’ll want to go ahead and upgrade to brighter headlights or add fog lights. Some riders also add extras to the bike, such as neon kits and running lights. Is your gear up to the task? Be sure your gear is heavy enough for the cooler night temperatures. You’ll want to make sure that it’s light colored or has plenty of reflective areas so you’ll be easily seen. Are you ready to ride at night? If you have difficulty seeing at night, visit your eye doctor for special glasses to help you see better—or consider limiting your night riding. If you tend to be a morning person, riding late at night may not be in your best interest, since you would typically be sleeping. Exercise the same safety precautions you do during the day, but be even more cautious. Leave more space between you and other vehicles, and wait a second or two longer after the light turns green before driving through intersections. If you typically lane split, realize that as ill-advised as it is during the day, it can be downright dangerous at night. Assume that other drivers cannot see you, and that they are sleepy or drunk. Inattentive, drunk, or sleepy drivers are more abundant at night—especially after the bars close in your area. Just as you should always assume other drivers cannot see you, assume that any driver you encounter at night is impaired. What precautions do you take when you ride at night?